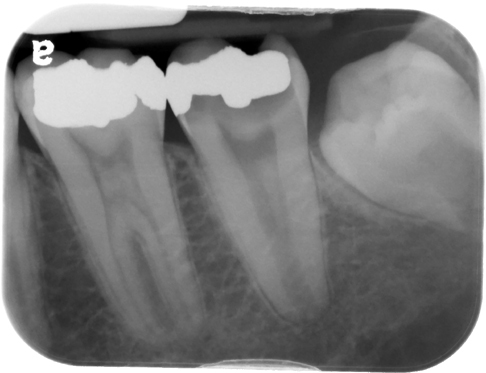 Definition: Diffuse calcifications in the pulp chamber and/or root canal. This is also referred to as calcerous degeneration. Location: Any pulp chamber and/or root canal. Shape: Follows the shape of the pulp chamber and/or root canal. Other: Does not alter the shape of the pulp chamber and/or root canal. 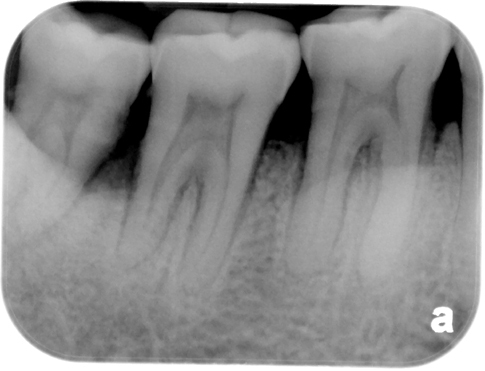 These calcifications conform to the shape of the pulp chamber and/or root canal. Number: Multiple entities exist in a single tooth, may affect multiple teeth throughout the mouth. TIP: Small pulp stones and pulpal sclerosis in a pulp chamber may be difficult to determine the difference between. Look to see if the pulp chamber shape has been enlarged indicating a pulp stone. If the pulp chamber shape has not been enlarged, pulpal sclerosis is more likely. 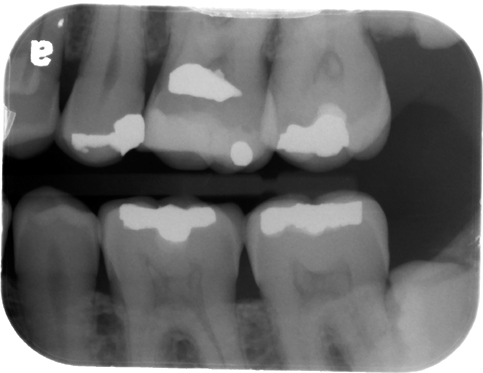 Both are incidental findings and treatment is not necessary on a vital asymptomatic tooth.